Looking for a move-in ready home? Look no further… Great location, nice layout, hardwood floors under carpet. Click here to see the tour! 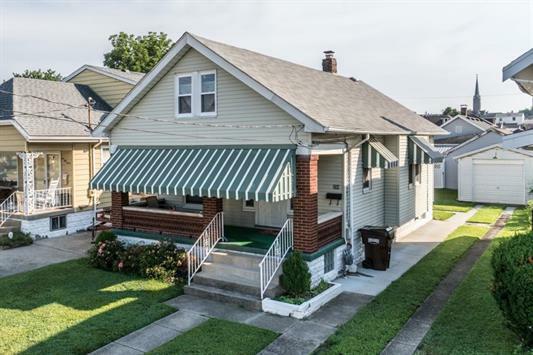 Listed at $94,900! Tons of storage on the second floor and can be used as a bedroom. Full basement, flat back yard with detached garage. Contact Apex Realty Group to see it for yourself at (859) 547-6324 or visit www.sellingnorthernkentucky.com. Keller Williams Realty Services. Equal Housing Opportunity.